Greetings, Queer Vegan Food readers! It’s been a little while since I’ve published a blog, and I couldn’t be more excited to share today’s update with you. 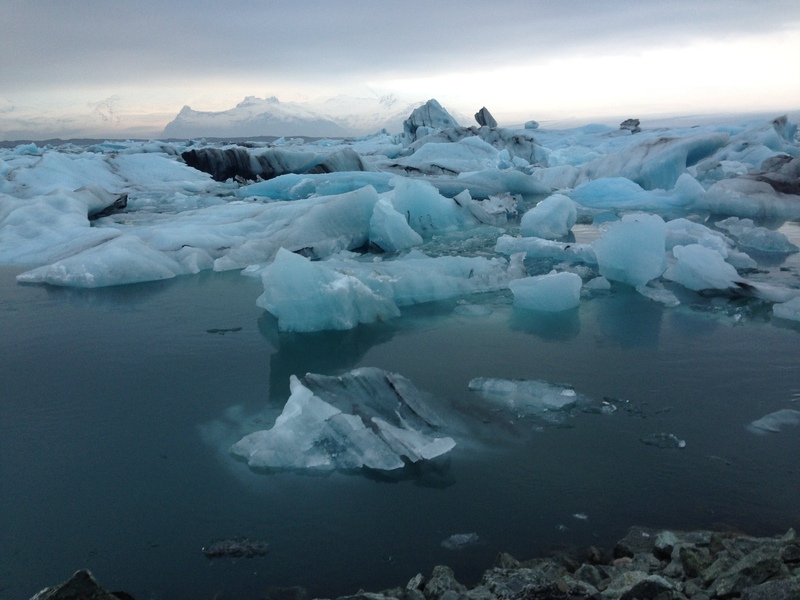 In this post, I’ll share a bit about the places, foods and adventures I’ve enjoyed recently, including some cool vegan products I’ve fallen in love with, activities I’m up to, and some pics from a recent trip to Iceland. 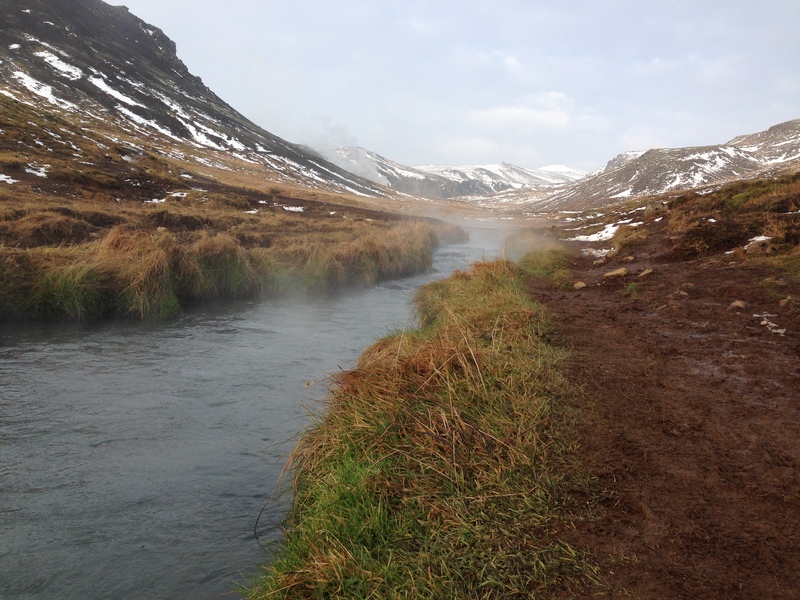 A hot river in Hveragerði, Iceland. We went swimming in it! The vegan special from Gló Restaurant in Reykjavík. 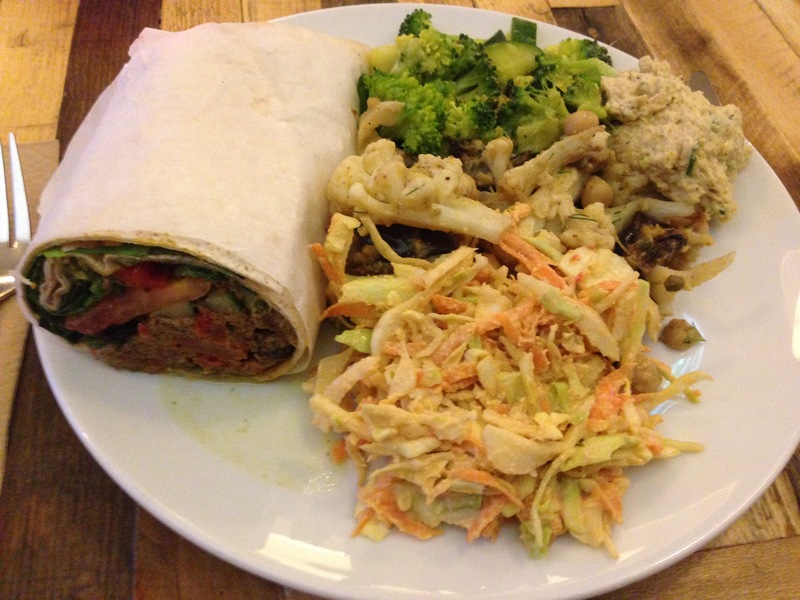 A nut pate wrap, broccoli, cole slaw, hummus and cauliflower. 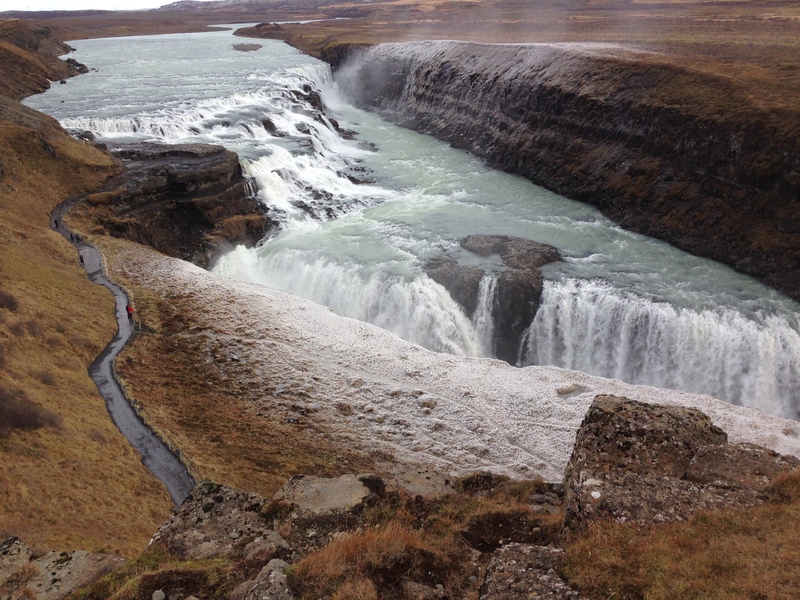 The best meal we had in Iceland, hands down. A health food store in downtown Reykjavík stocked hella Tofurky. Courtney Pool in front of the gay bar, Kiki’s, which is located blocks from several veg-friendly restaurants in Reykjavík. A beautiful, simple meal: (lentil soup, salad, and homemade bread and hummus). From Cafe Garðurinn in Reykjavík. A typical spread of food we’d pack with us for day trips to places outside of Reykjavík. Most of these items were purchased at the health food store chain, Heilsuhúsið, and the greens and carrots were from a local big chain grocery. The plant milk spread at an organic grocery chain in Iceland. I’ve been cooking with the Massel vegan bouillon a lot. Massel’s Vegan Boullion collection is my new favorite go-to option for steaming vegetables and making warming soups to get through the cold Boulder winter. I made a vegan chicken noodle with quinoa pasta, and love to steam broccoli with the vegetable cubes. I’ve been loving the Rubbermaid Shaker Bottle for bringing smoothies with me to the office. It’s BPA Free, and contains this adorable little mixer device that ensures your smoothie doesn’t get stuck to the bottom of your bottle. Brilliant. I wrote about the launch of Chao Vegan Slices from Field Roast on Vegansaurus, and now that my local Whole Foods in Boulder has Chao in stock, finally got to try them for the first time. The original is amazing on salads and stand-alone with crackers and baby carrots. Really cheese-like in texture and taste; I’m a fan! I’ve never owned a rice cooker before, and kept hearing about how awesome they were, so, after a lot of research, decided to invest in a high-end rice cooker. I went with the Zojirushi NS-VGC05 Micom 3-Cup (Uncooked) Electric Rice Cooker and Warmer, and have only used it a couple times, but I already really like it! It’s very convenient not to have to attend to a pot while the rice cooks, and the rice tastes great. I also appreciate the minimal cleanup needed after you’ve made a batch. I’ve made short grain brown rice and wild rice in it so far, and look forward to trying out other kinds. My day job is doing marketing for software companies, and earlier this year, I created a group in Boulder to help promote LGBTQ diversity in tech (and diversity in tech in general). We’ve been putting on a lot of amazing events and I’ve been so inspired by the support of so many great LGBTQ people and allies in the community. If you’re interested, you can check out what we’re doing on meetup. I’m super stoked to be participating in Vida Vegan Con for the first time! I felt a rush of excitement while registering for the 2015 conference in Austin, TX. I’ll be staying at the official conference center, and hope to learn a lot from the talented presenters as well as shmooze with new and longtime vegan friends. Are you going? I’ve been vegan for nearly nine years now. I remember when I first went vegan, there wasn’t as much awareness about veganism as there is now. There certainly weren’t super famous vegan celebs gracing every magazine, and we vegans had to pave our own path in many ways. Though it was harder when I was a teen, I should note I can’t really compare my relatively cushy early years as a vegan (after all, soy dogs were available at my local non-foodie supermarket!) to the 70s vegetarians who had to make their own soy milk and veggie burgers from scratch. Thanks to the explosion of ethical food and lifestyle companies and increased awareness thanks to many tireless activists, making compassionate food and lifestyle choices is now easier than ever. Still, it isn’t something you pick up right away, unfortunately, given how non-vegan our world is. Typically, going vegan takes myriad hours of internet sleuthing, talks with friends/coaches, obsessive package reading syndrome, falling back on trial and error, etc. I think more people would go vegan if it were naturalized into our culture (aka the norm), but the next best thing to growing up vegan or living in a vegan world is getting How To Be Vegan by Elizabeth Castoria. How To Be Vegan is the essential modern day guidebook for anyone who wants to go partly or all vegan. I would have paid good money to get this when I was a teenager stumbling into veganism. 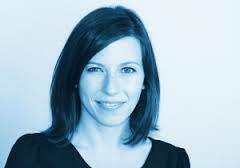 Here’s why Castoria’s book is a game-changer: Without dogma, she lays out the exact action steps necessary to becoming vegan, from stocking your pantry, to traveling as a vegan, to dealing with non-vegan family members, to dating–it’s literally all here. You can even use this book to plan your ethical vegan wedding! Castoria comes from a magazine editorial background, and there’s enough eye-catching infographics and features in here to satisfy anyone with a taste for design. The sleek designs are just another example of the extremely thoughtful approach Castoria took while crafting this book. There’s 50 recipes in here (I can’t wait to try the Portobello and Cremini Stroganoff) and lots of really useful tips for being vegan during international travel in many countries. I am now craving Piadina, toasty flatbread street food from Italy, Bibimbap, a Korean dish containing blends of rice with steamed, sautéed and pickled vegetables tossed with rice wine sauce, and Dosa, crispy lentil-based pancake from India. Of course, many of these foods are available throughout the United States, but it’s tempting to plan trips abroad just to try the dishes Castoria describes. In addition to the “how” theme that runs throughout, this book answers the “whys” as well, offering just the right amount of detail to whet readers’ appetites to learn more about the cruelty behind animal product consumption but not too much to cause overwhelm leading to stagnation. I absolutely plan to share this book with non-vegan friends who have been curious about how to make it happen but have never taken the plunge. Buy How To Be Vegan here. 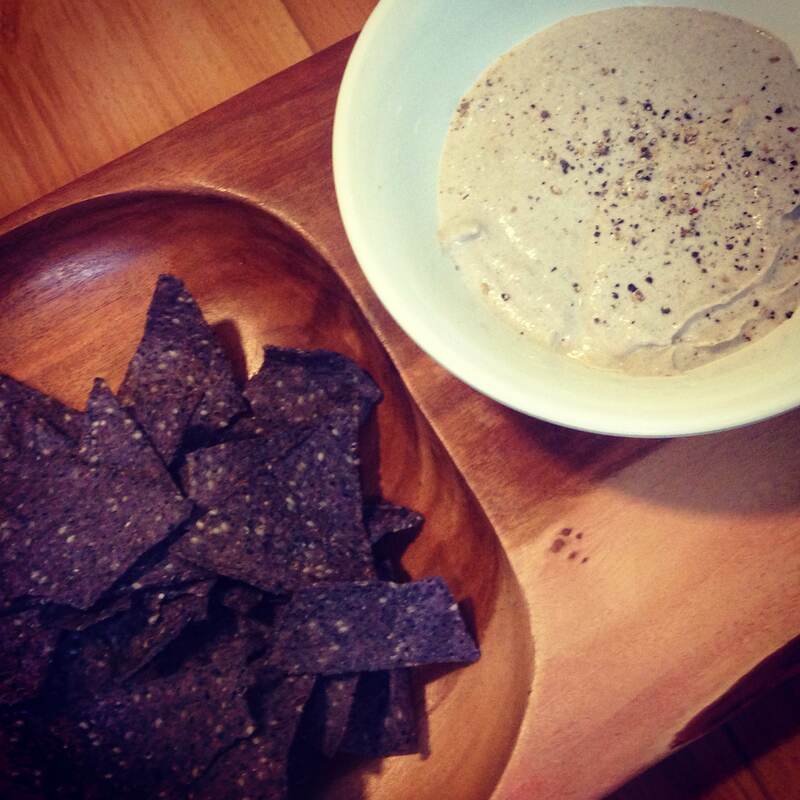 Today, two circumstances conspired that drove me to devise and create this delicious new recipe for Easy Black Eyed Peas Miso-Hemp Dip. The first: I randomly decided to soak black eyed peas last night (I soak all kinds of things on a whim!) and thus needed to make a batch of homemade black eyed peas today; the second: I was running low on homemade hummus (I use Choosing Raw’s hummus method), my other go-to dip. This dip, my first ever using black eyed peas as the bean of choice, relies on the nutty flavor of hemp seeds and tang of miso, lemon juice and lots of garlic. I think it’s the best dip I’ve ever made! I’ll definitely be making it again soon, and serving it to guests whom I know to be garlic lovers, too. I used homemade black eyed peas, but the canned variety would work fine too, of course. Feel free to double the batch. Food process or Vitamix all ingredients. Serve chilled. 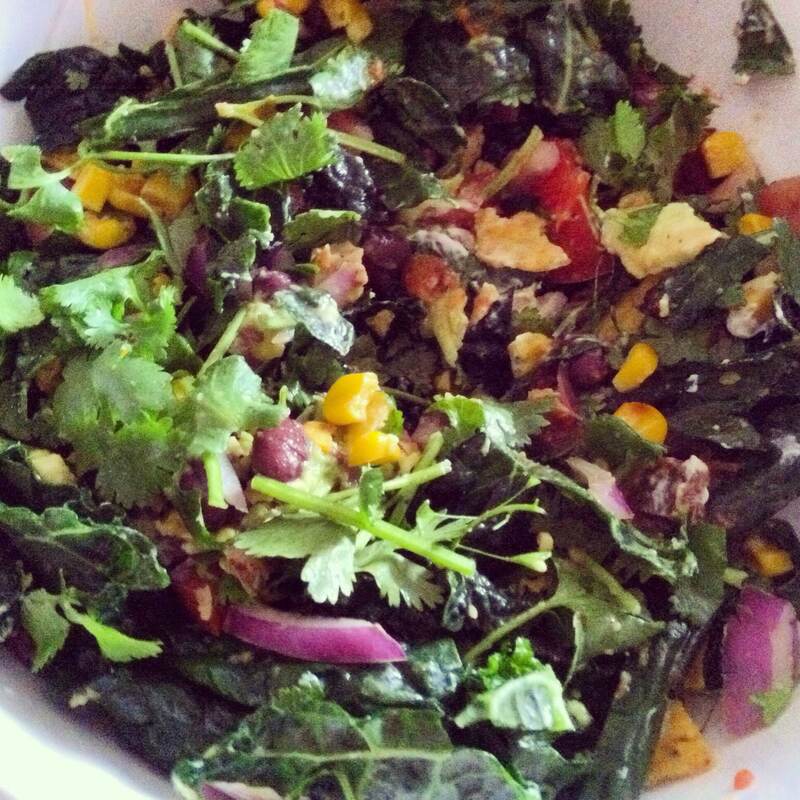 Very satisfying with chips (served here with organic blue corn chips), raw veggies, or as a shmear on a sandwich or wrap. Let me know if you try this dip 🙂 Thanks for reading! P.S. While you’re on a bean dip kick like I am, try this awesome-looking North-meets-South bean dip from the wonderful JL Goes Vegan! A couple weeks ago, Courtney and I took a short but lovely trip to Colorado Springs. Only an hour and a half’s drive from our hometown, Boulder, it seemed only fitting we’d celebrate our birthdays with a visit to the oft-talked about destination. It was my first time, and Court’s first time since she was a kid, and we were both super impressed by the fantastic company (we got to see the lovely JL and Dave!) 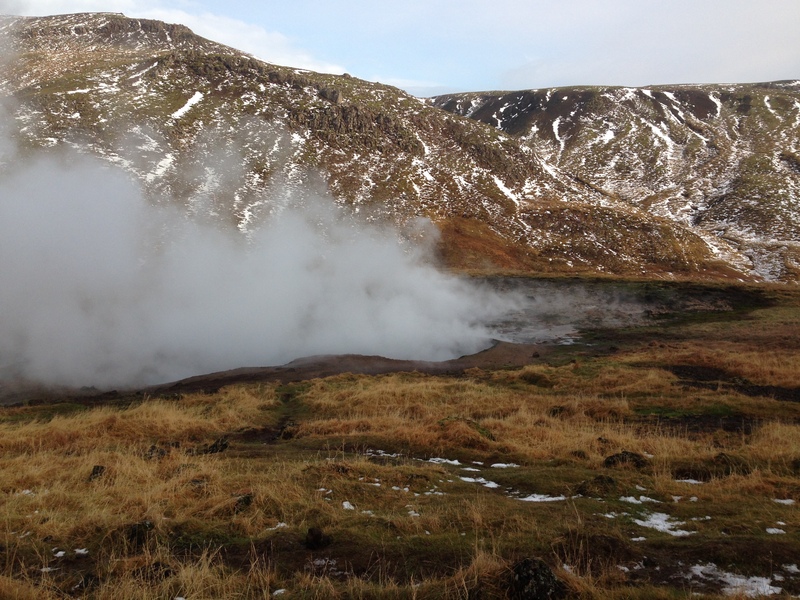 and the absolutely gorgeous scenery. This place is so beautiful! 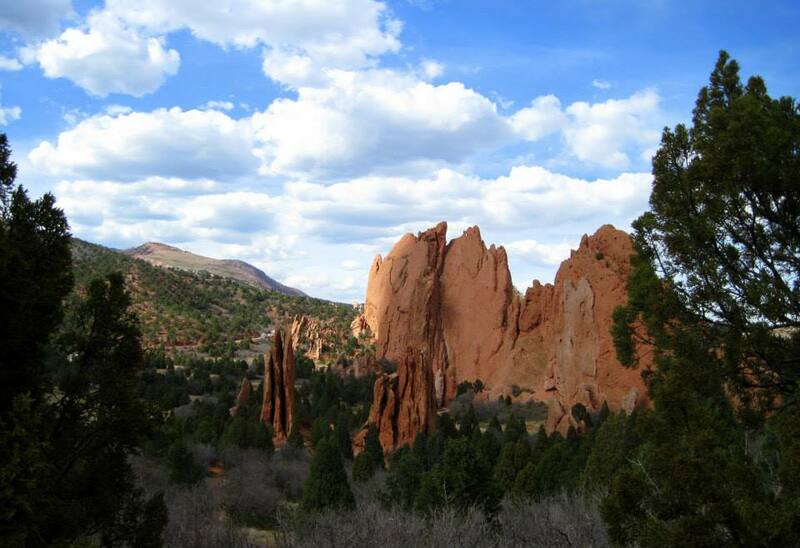 Garden of the Gods in Colorado Springs. 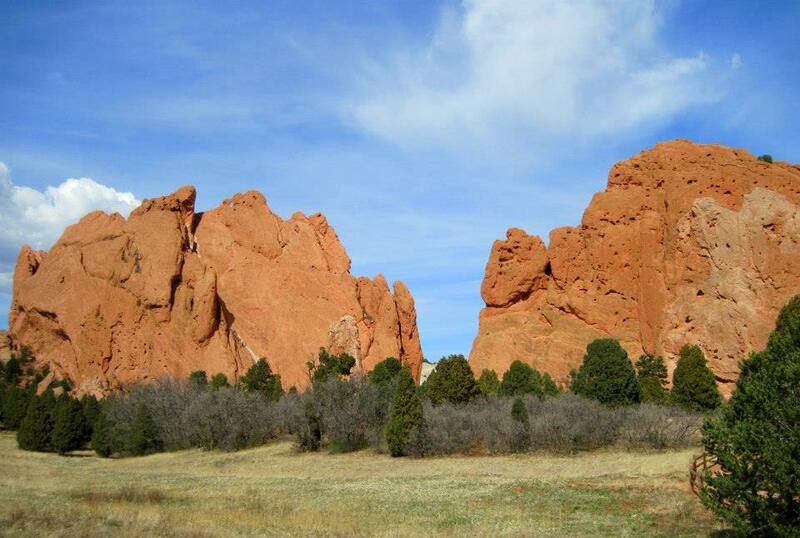 The beautiful colors dazzle in Garden of the Gods in Colorado Springs. 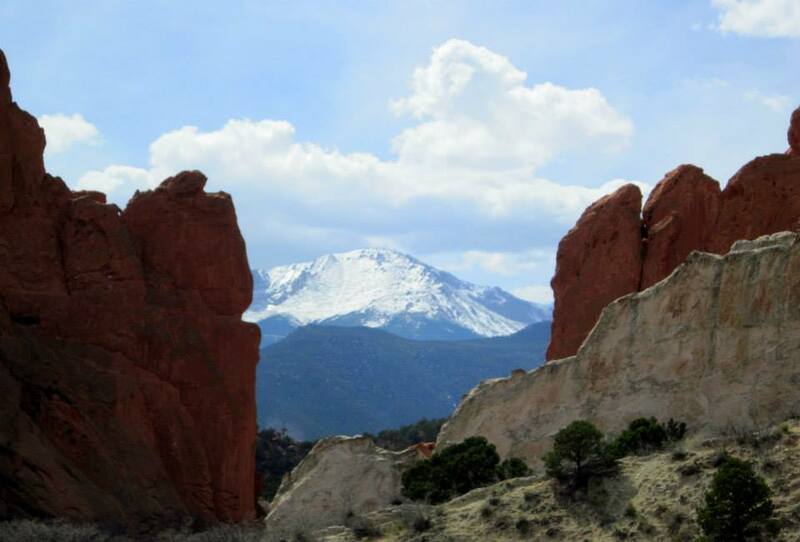 Another breathtaking view: Garden of the Gods in Colorado Springs. In addition to celebrating our birthdays, Courtney and I were treated to a delightful meal with JL Fields and Dave Burgess! JL and Dave took us out to one of their favorites spots in the ‘Springs, Adam’s Mountain Cafe! We actually ate at the restaurant during one of its last days in its old location. 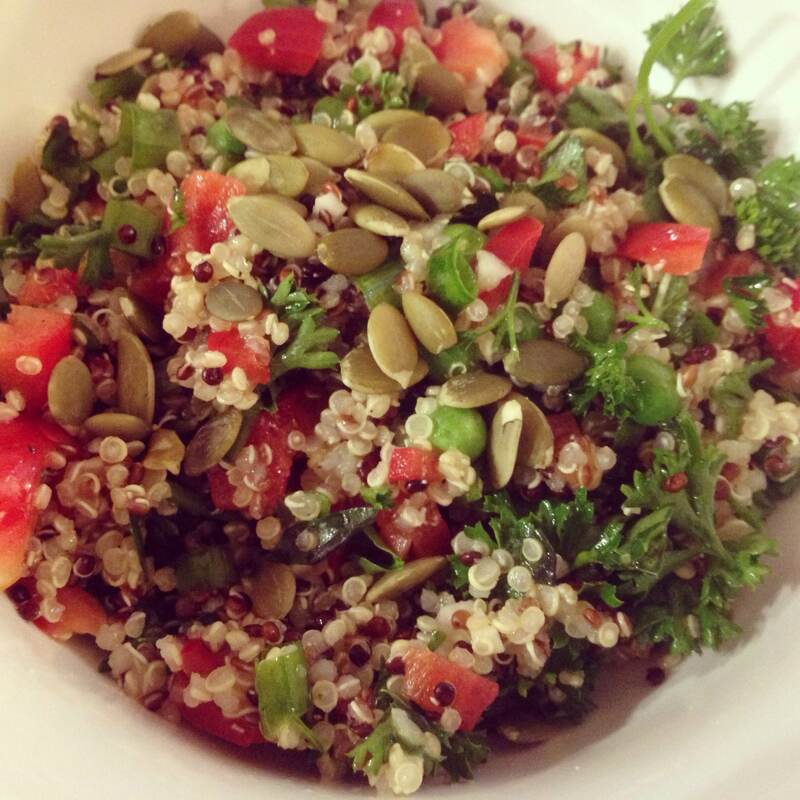 JL reports on her blog that the new location on 26 Manitou Avenue is even more fabulous! We spent the evening laughing, enjoying delicious plant cuisine, and soaking in good ‘Springs vibes. 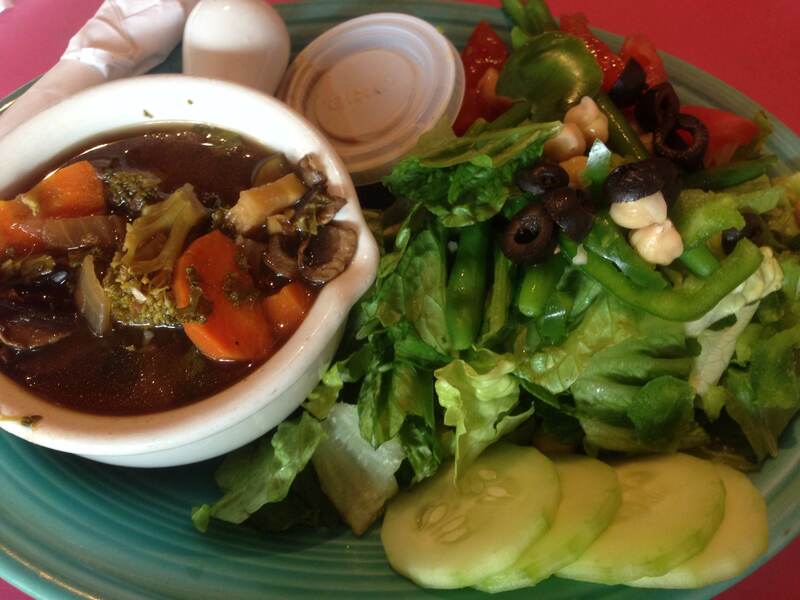 Senegalese Tofu At Adam’s Mountain Cafe in Colorado Springs . Chocolate tarte At Adam’s Mountain Cafe in Colorado Springs. 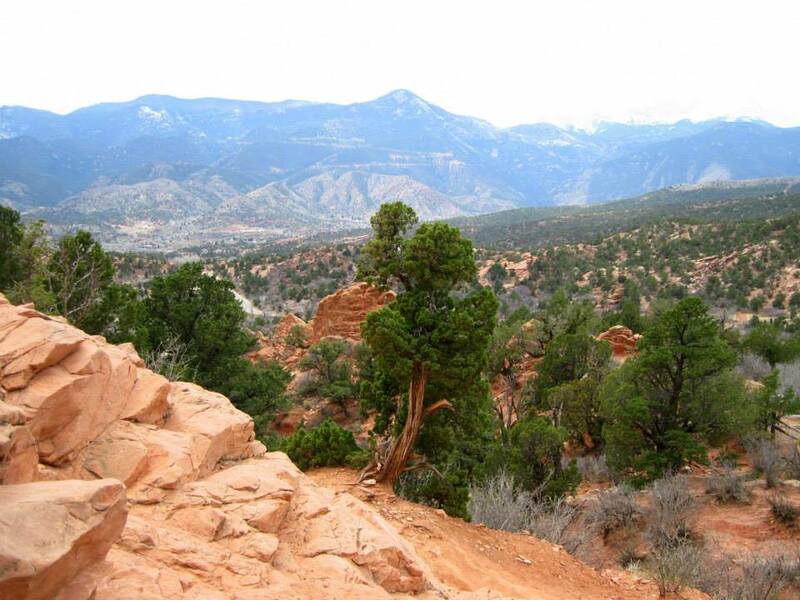 On the last day of our trip, we hiked Garden of the Gods a second time and explored downtown and I got a yummy gluten-free chocolate chip birthday cupcake at Coquette’s Bistro and Bakery in downtown Colorado Springs. I also got a soup and salad at Poor Richard’s across the street. 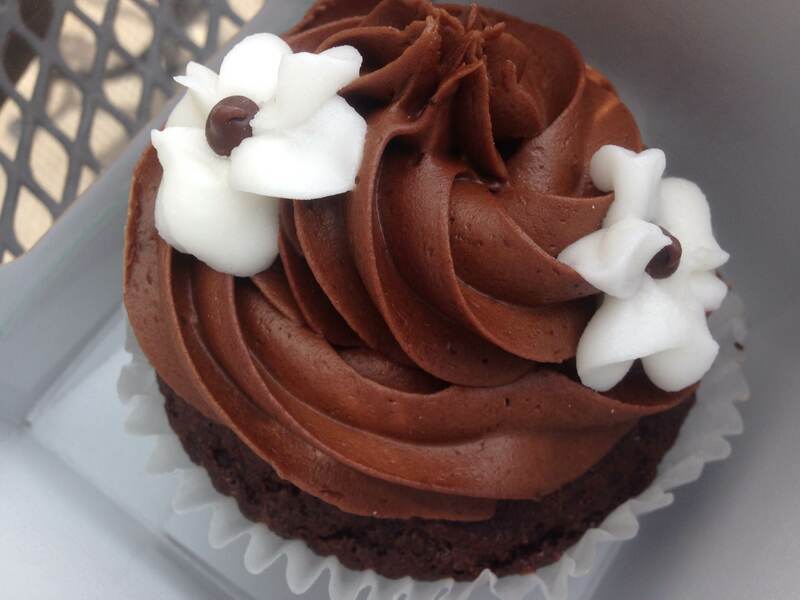 Gluten free chocolate vegan cupcake from Coquette’s Bistro and Bakery in Colorado Springs! After the trip, I returned to a package of Chocolita raw vegan chocolate to try! It was the best thing ever to come home to! Chocolita is the purest raw vegan chocolate available, made from only the best, organic, fair trade, low-glycemic wildcrafted ingredients. My favorite flavor was the raw white chocolate Blueberry Lotus flavor. It blew me away; I’ve never had such a pure, vegan white chocolate before! Some of the flavor notes in Chocolita include: wild flowers, heirloom beans and more. Truly epicurean! 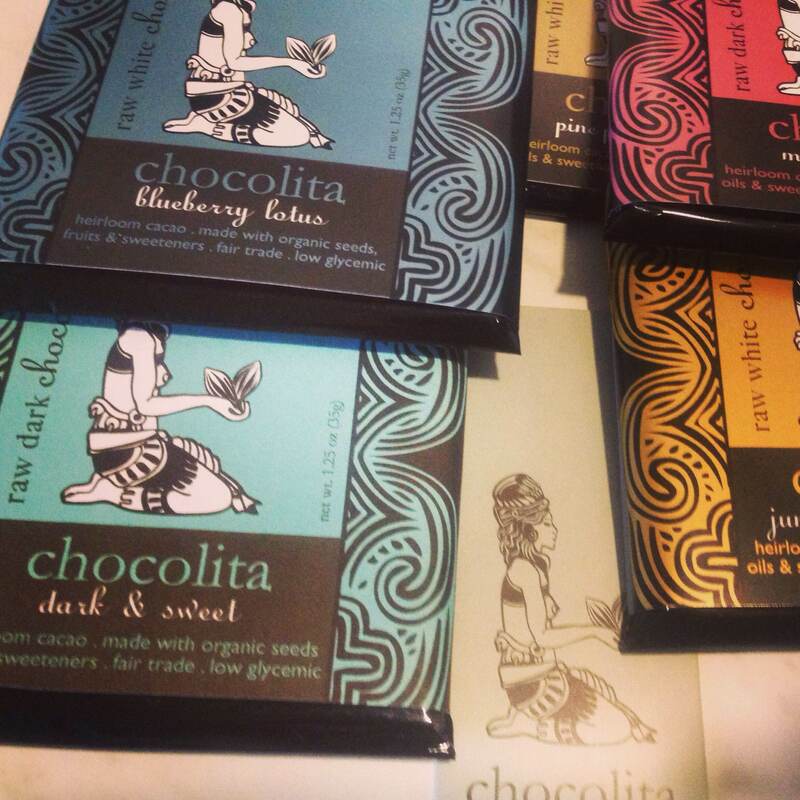 If you love fancy vegan chocolate that’s low glycemic and delicious, I highly recommend consulting this list of where to buy Chocolita at a store near you or you can order Chocolita online. Chocolita raw vegan chocolate is truly fantastic. 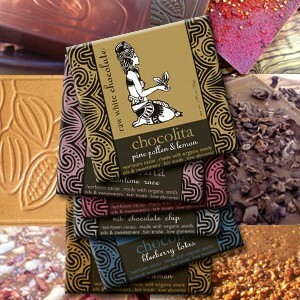 I love the delicate artwork that adorns each Chocolita bar. There comes a time in every blogger’s life when she connects so deeply with a cookbook that she feels, while making the food described in it, that she and the author are inextricably linked. Food recipes can connect us across geography and time, and in the case of Mayim’s Vegan Table: More than 100 Great-Tasting and Healthy Recipes from My Family to Yours, I felt super connected to the author, wherever she is, being a fabulous neuroscience PhD, television star, and all-around gorgeous vegan genius. Every recipe she included in here seemed as though aimed at me to love it, though I’m sure that’s how most feel. Brussels sprouts chips? Kugel? Taco salad? I also miss making a lot of my favorite Jewish foods like Matzo Ball soup, challah, sufganiyot, rugelach, kugel, and more. This cookbook is totally a resource for those of us who love vegan food that tastes like a Bubbie made it! The beginning of the book includes some helpful tips on vegan food prep, some basics and some in-depth tutorials like meal planning for picky kid eaters and sections on the science and environmental arguments behind a healthful vegan diet. To be honest, a lot of that stuff didn’t appeal as much to me (I just wanted to make the delish recipes! ), but I think for new and/or aspiring vegans, it’d be a big help! I’m glad she took the time to share her values and appeal to parents who may need more help to get junior to eat her broccoli. Vegan challah! 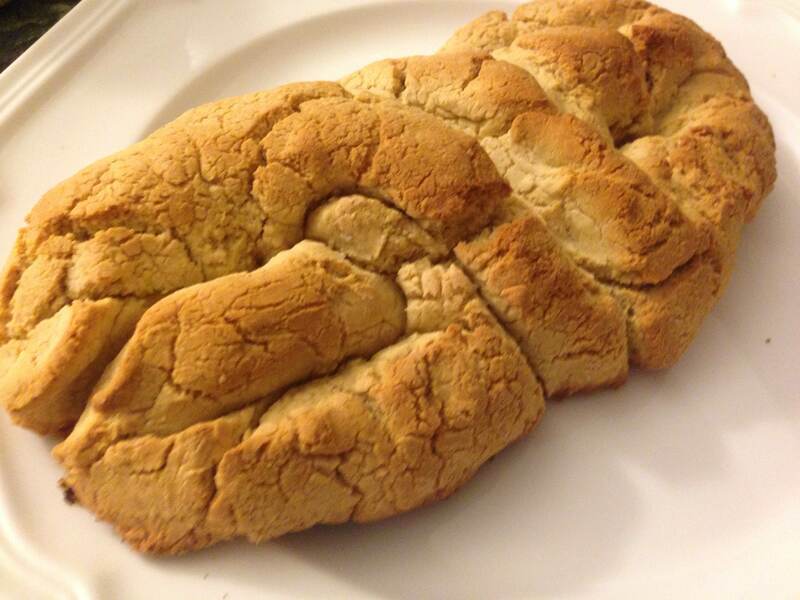 I actually used Mayim’s Turtle Bread recipe and just substituted gluten-free flour. 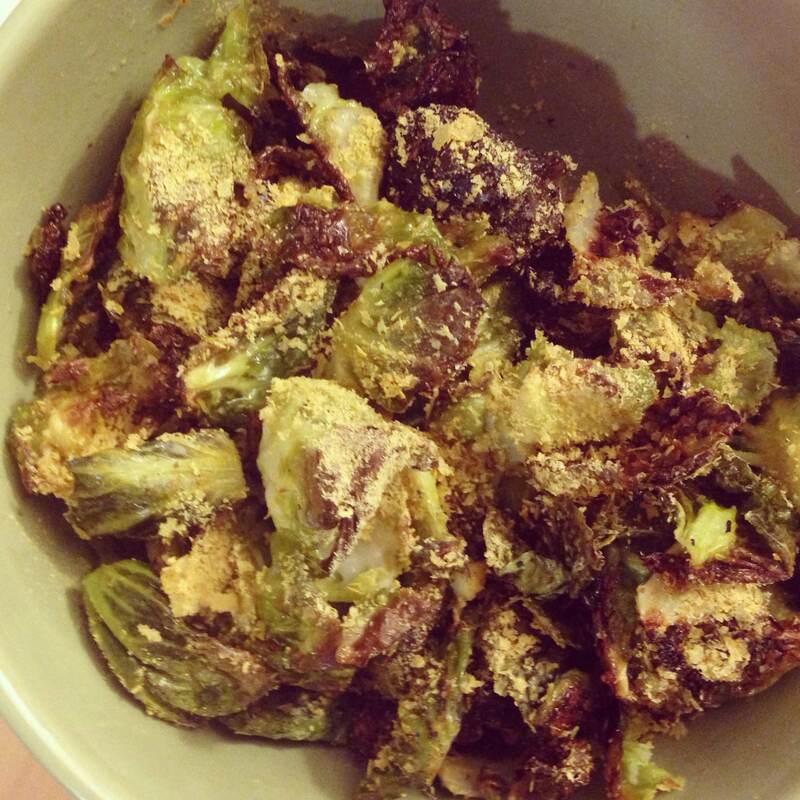 Brussels sprouts chips: easy to make (if time consuming) and oh-so-good! I added nutritional yeast. These recipes for the photos above are each very easy to make, designed for busy parents and/or those who love delicious food but don’t have time to create crazy-elaborate dishes. I highly recommend picking up a copy, and not only because Mayim is so cool! 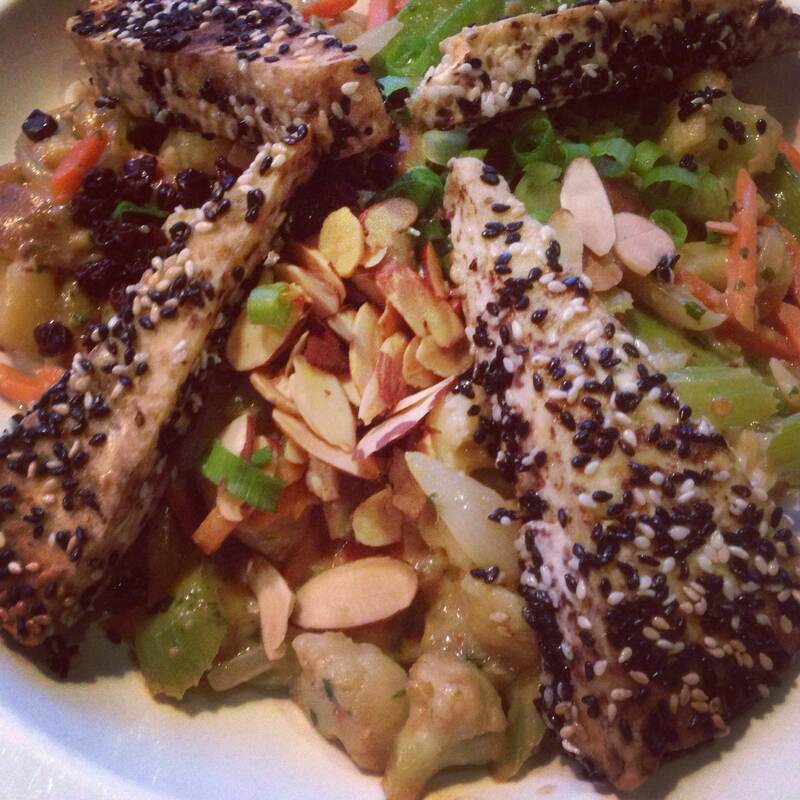 Here’s a link to another great review of Mayim’s Vegan Table by my friend Jenny Bradley on Vegansaurus. 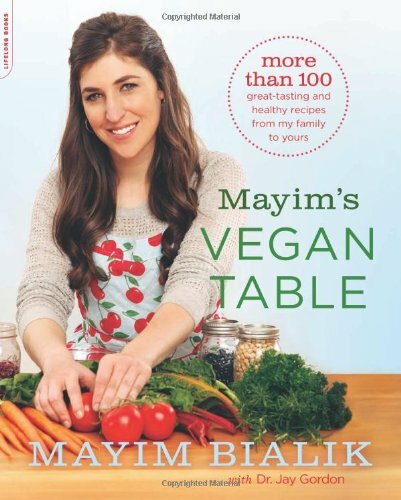 Buy Mayim’s Vegan Table online and at bookstores nationwide. One of the things I have yet to get used to in Boulder is the mercurial weather. 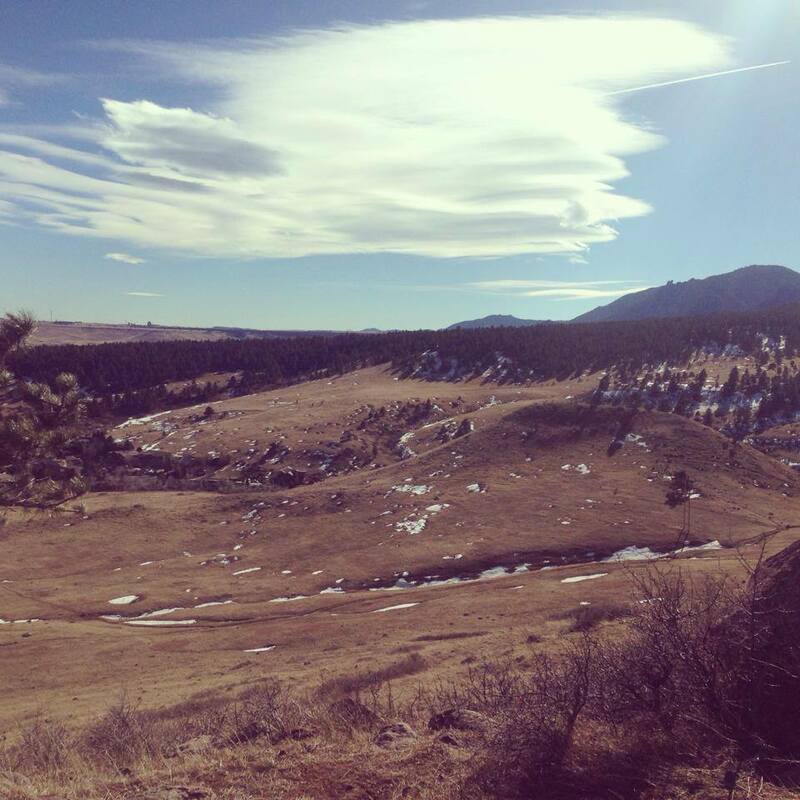 Yesterday, I hiked Bear Peak trail in South Boulder in a t-shirt in 61-degree weather. Today, it’s a chilly 18 degrees and snow is piling up. 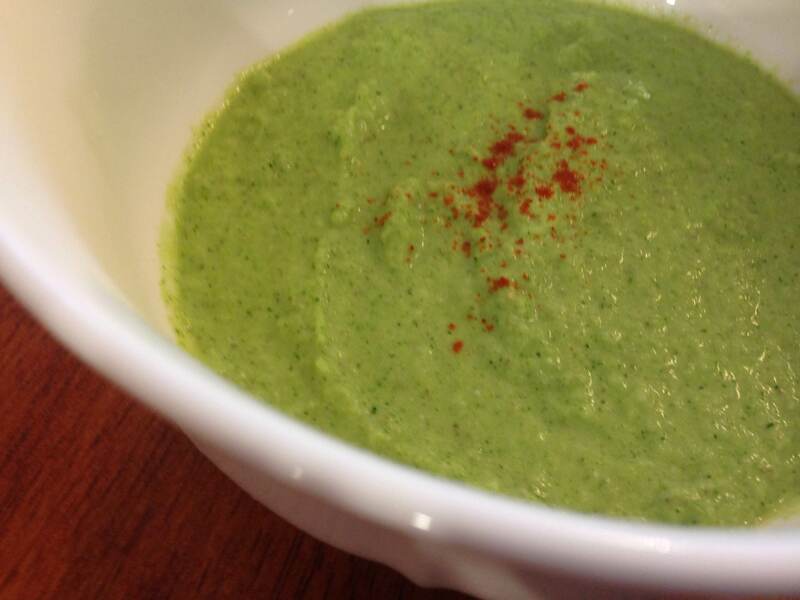 I decided to take advantage of the sudden cold spell by making a warm, blended garlicky cream of broccoli soup. The stars of this soup are definitely brazil nuts and chia seeds. 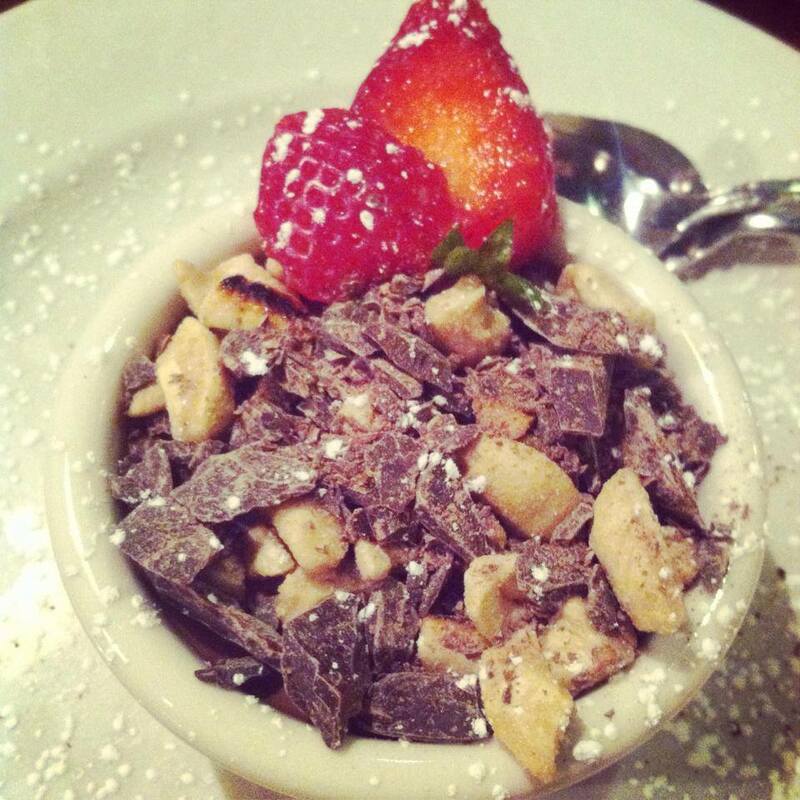 The brazil nuts add a depth of flavor and creaminess, and the chia seeds add a bulk and smoothness to the texture. The soup turned out wonderfully, and I recommend enjoying it with some bread or crackers and perhaps a fresh side salad. Steam broccoli and garlic in water until soft. Drain and allow to cool, then blend in Vitamix or another high-powered blender. After blended, transfer to a pot and cook on the stove on warm on low to medium heat and serve with paprika garnish (optional). Serve warm. 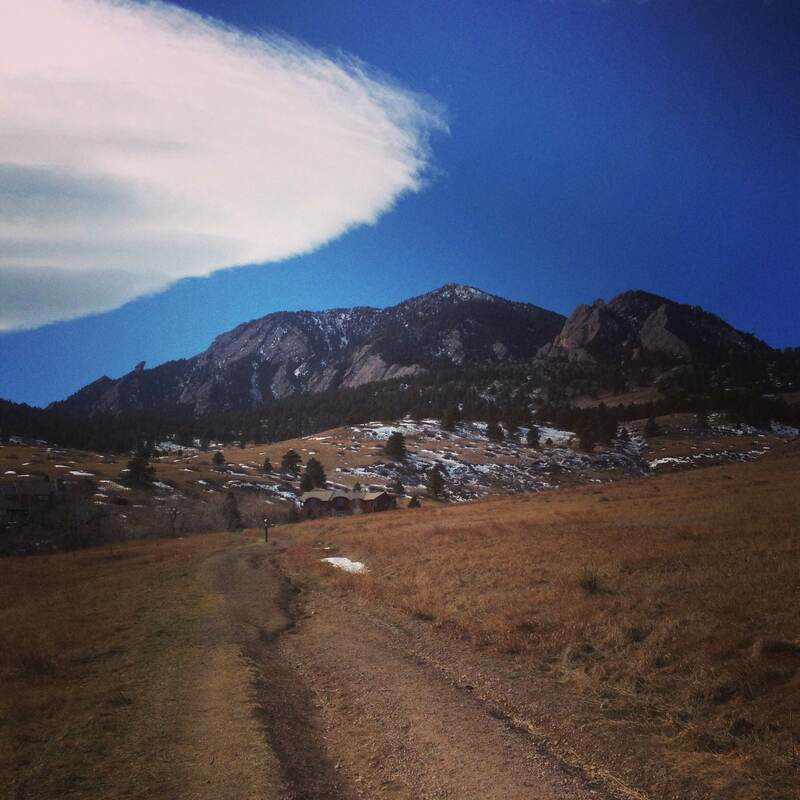 Beautiful Bear Peak trail in South Boulder. 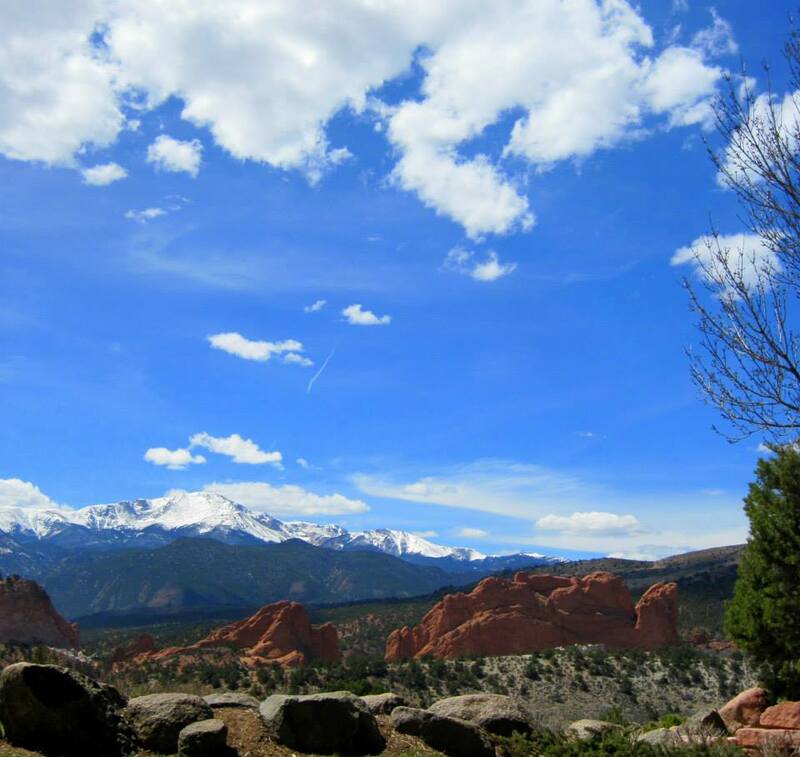 Colorado’s winters include wide variations in temperature in short periods of time. Hampton Creek Foods Just Mayo, Eat The Dough and Chipotle Mayo. Photo via Vegansaurus! I’m told that back in the day, we plant eaters had to make our own veggie burgers and milk our own nut milks. Now, if we want to make our own veggie burgers and strain soaked almonds through our nut milk bags, so be it–but we have choices. These choices allow us to be lazy vegans if we want to, but they also allow for people with tons of expertise (aka food scientists or professional chefs) to develop and refine ingredient combinations that the average vegan just doesn’t have time for. Of course I think it’s wonderful to enjoy a whole foods, plant-based diet, but I think it’s a huge step in the right direction that we vegans can be lazy if we so choose, and are able to pick up packaged vegan foods as easily as omnivores. In the past, vegans wanting legit-tasting, cruelty-free mayo had to enjoy Veganaise (which isn’t bad, but isn’t great either) or make their own from scratch. Now, we have Just Mayo by Hampton Creek Foods, which offers a superior-tasting vegan mayonnaise that really behaves like it should–thick, creamy, slightly tangy and easily spreadable. Hampton Creek Foods’ team of very talented food chefs and scientists were no doubt involved in its creation! Learn more about the development process on Our Hen House’s podcast featuring Hampton Creek Foods CEO Josh Tetrick. Silver Hills Bakery gluten-free vegan bread and Just Mayo: A perfect sandwich combination. 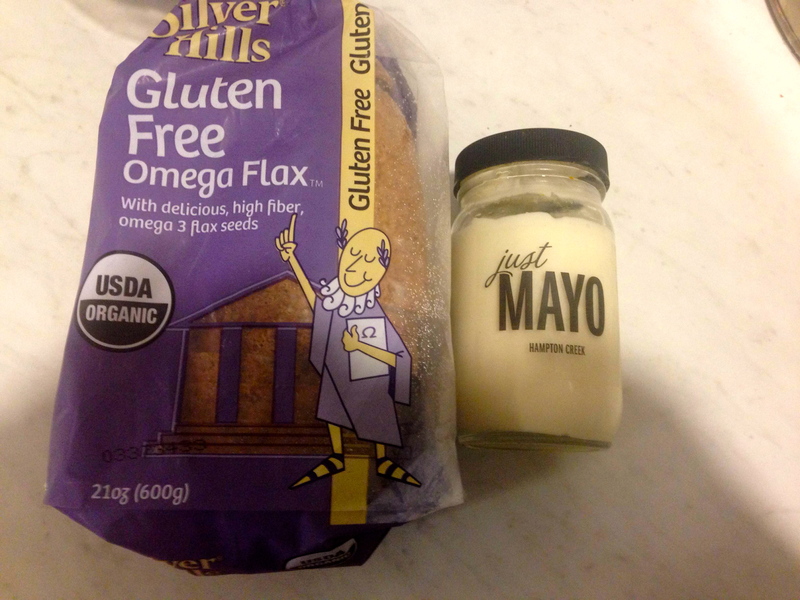 I tried Hampton Creek Foods mayo on Silver Hills gluten-free vegan sandwich bread. It went so well with the avocado, tempeh and tomato fillings! I also love that Hampton Creek Foods is getting national attention. You can check out just a bit of the press they’re getting here, here and here. Oh, and did I mention Bill Gates is one of their investors? You KNOW this company is going places. Perhaps what I love the most about Hampton Creek Foods products is that their target demographic actually isn’t us vegans–it’s omnivores, and their smart marketing campaigns use verbiage that make it very easy to see a new possibility for the millions of chickens who are abused, enslaved, and lose their lives in order to create mayonnaise for someone. This is a very promising path to the future, indeed. Hampton Creek Foods also sent their Chipotle Mayo (which was not my bag but I could see others loving it) and their “Eat The Dough” gluten-free vegan cookie dough. Absolutely awesome cookie dough, I can’t wait to grab some in stores at some point. Connect with Hampton Creek foods on Facebook to stay updated on the latest news and to find out when they’re selling in a store near you.